The East of England Agricultural Society is pleased to announce that schedules for the 2016 Farm Business Awards are now available. The annual competition, open to all farm businesses within a 50 mile radius of the Showground in Peterborough, aims to recognise not only the high standards which farmers in the region attain but also how they overcome and adapt to change whilst remaining focused on producing healthy, wholesome food. Entries are welcome from all types of farming business, with judges focusing on their management practices and the operation of the farm, including diversification enterprises which may have been developed to operate alongside the farming activities. Judging of the heats will take place on Monday the 20th and Tuesday the 21st of June with the championship judging taking place on Thursday the 23rd and Friday the 24th of June 2016. All entrants are asked to keep these dates free. Main sponsors for the awards are once again Camgrain and Openfield with Savills as sponsor of the Young Farmer section. The Society is indebted to all our sponsors for their continual support of the competition. 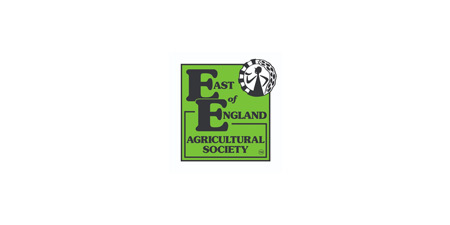 If you would like to enter please either call the Society office on 01733 234451, email WHaire@eastofengland.org.uk or download the schedule and entry form from the Farm Business Award website. Entries close on Friday 29th of April 2016. Due to the number of entries received, entries will be accepted on a first come first served basis.